Introduction: Great Recession, Great Disruptions. Disruptions Are All Around Us. Where are the Seismic Struggles? Connecting the Dots: The 10 Essential Elements. Chapter 1: The Old World of Business versus the New World of Business in Four Major Industries. Industry Snapshot: Retail –– Circuit City Stores, Inc.
Industry Snapshot: Technology & Telecommunications –– Motorola, Inc.
Industry Snapshot: Transportation –– Airlines, Rails, and Automobiles. Industry Snapshot: Journalism, News Media, and Publishing. Facing the Facts: The Old Rules No Longer Work. New Rules for a Reinvented World. Part 1: Succeeding in the New World of Business. Chapter 2: Element #1: Vision and Values. EMC: Mark S. Lewis, Chief Strategy Officer (IIP). Zuvo Water: Andy Butler, CEO. Anita Borg Institute: Dr. Telle Whitney, President & CEO, and Jerri Barrett, VP of Marketing. Fresh Lifelines for Youth: Christa Gannon, Founder & Executive Director, and Skye DeLano, Director of Development. Chapter 3: Element #2: Entrepreneurship. EMC: Steve Todd, Distinguished Engineer, Author, Intrapreneur. Synopsys: Rich Goldman, VP Corporate Marketing & Strategic Alliances, CEO Synopsys Armenia. The Bridge Group: Reiko Emmi–Sota, Cultural Ambassador. Chapter 4: Element #3: Navigation. EMC: John T. (Jack) Mollen, EVP Human Resources. EMC: Gwen Weld, VP of Global People and Infrastructure. Builders versus Maintaining Status Quo. A Day in the Life of a Merger. Zuvo Water: Ray Brown, VP Marketing. MicroEnterprise Journal: Dawn Rivers Baker, Publisher, Journalist. Chapter 5: Element #4: Responsible Risktaking. EMC: Kathrin R. Winkler, VP of Corporate Sustainability. Honesty: The Best Supplier Policy. M–Cubed Global: Exley Mixon, CEO. Sometimes It Pays to be Small. Zuvo Water: Elizabeth Flammini, Chief Evangelist, Director of Marketing. Chapter 6: Element #5: Disruption and Discontinuity. West Valley College: Dr. Lori Gaskin, President. EMC: Dr. Patricia Florissi, Chief Technology Officer, Americas. EMC: Linda Connly, VP and GM, SMB Division & Inside Sales, Americas. Being Small Offers Big Opportunities. Chapter 7: Element #6: Experimental and Exploration. EMC: Bill Cook, President, Data Computing Division. 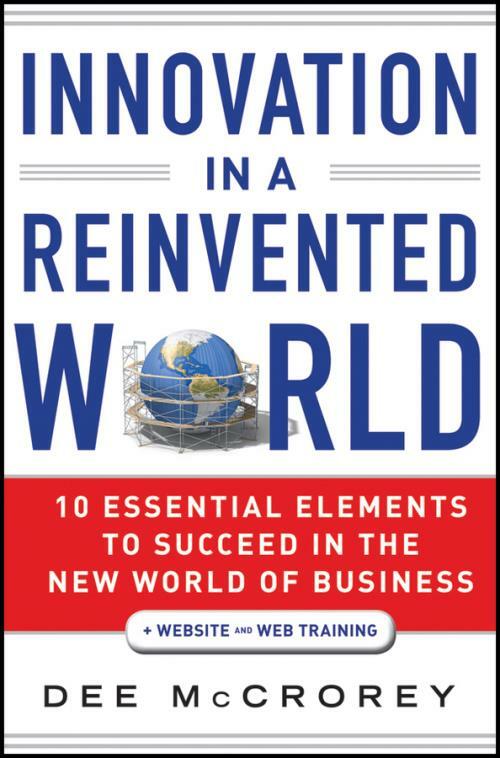 Chapter 8: Element #7: Innovation and Invention. EMC: Jeffrey M. Nick, Sr. VP and Chief Technology Officer. Innovation: Voice of the Customer. Latinas in Computing: Dr. Patricia Lopez, Technologist and Inventor. The U.S. Workplace: Leading and Lagging. Mentoring: Level the Playing Field. Developing a Passion for Computing. Success, Setbacks, Lessons Learned: Influence and Trust. EMC: Dr. Burt Kaliski, Sr. Director, Innovation Network, Office of the CTO. Career Planning in Front of the Curve. Sharing and Implementing Best Practices. Chapter 9: Element #8: Transition and Training. SAP Labs N. America: Phyllis Stewart Pires, Sr. Director, Community Experience, Gender Diversity Expert. New World Transitions: Gayle Uchida, Consultant. Zuvo Water: Phil Houdek, VP Engineering and Operations, Quality Office. Chapter 10: Element #9: Networking and Collaboration. EMC: Sheryl Chamberlain, Sr. Director, Technology Alliances. Synopsys: Karen Bartleson, Sr. Director, Community Marketing. F Gordon Group: Dr. Francine Gordon, CEO. Chapter 11: Element #10: Execution. Zuvo Water: Margaret Diesel, VP Finance. Growth and Sustaining the Business. Cisco Systems: Dr. Tara Collison, Sr. Manager, Corporate Affairs. Zuvo Water, Esterina Gentilcore, Social Responsibility Manager. Part 2: The Practical Side of Reinvention. Chapter 12: Navigating Your Way: Implementing the 10 Essential Elements. Chapter 13: The Reinventing Organization. Is Your Organization Reinvention Ready? Measuring the Success of Your Execution. Chapter 14: The Reinventing Leader. Are You a Reinvention–Ready Leader? Chapter 15: The Reinventing Careet Professional. Are You a Reinvention Ready Career Professional? Thriving in the New World of Business. Managing your Personal Inflection Curve.